We sincerely thank you for your interest in our tree care services for your home or business. Earning your business is important to us but keeping your business is our long term goal. We offer high quality affordable tree services to make sure you're a satisfied customer. Reach out to Spring Hill Tree Specialists for all of your tree care services including but not limited to: tree cutting, tree pruning, tree removal, stump grinding, deadwooding, and storm prevention. We can handle any type of tree care service that you may have in Spring Hill, Shady Hills, Brooksville and the surrounding area. We also provide emergency tree removal services. Call Spring Hill Tree Specialists at 352-340-2324, for more information on how we can help with your tree care needs. Or you can complete the form that is on our website, and we will get back to you as soon as possible. We provide top notch tree care service that is also competitively priced. 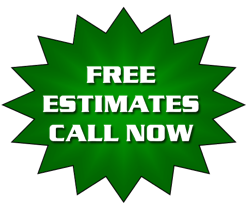 We look forward to helping you with all of your tree servicing needs. We'd like to give a shout out to our friends Snow Removal CDA! Stay Warm!